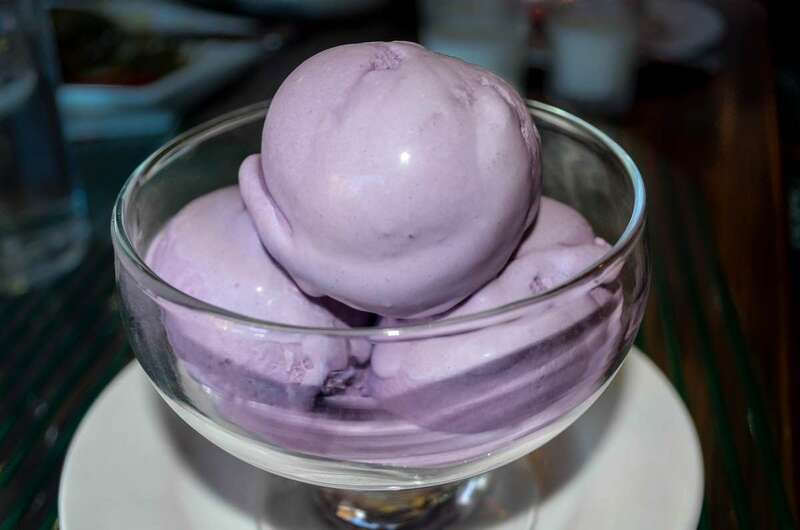 To complete your gastronomic adventure in Bicol, it’s definitely a MUST to experience the famous Sili Ice Cream from 1st Colonial Grill. 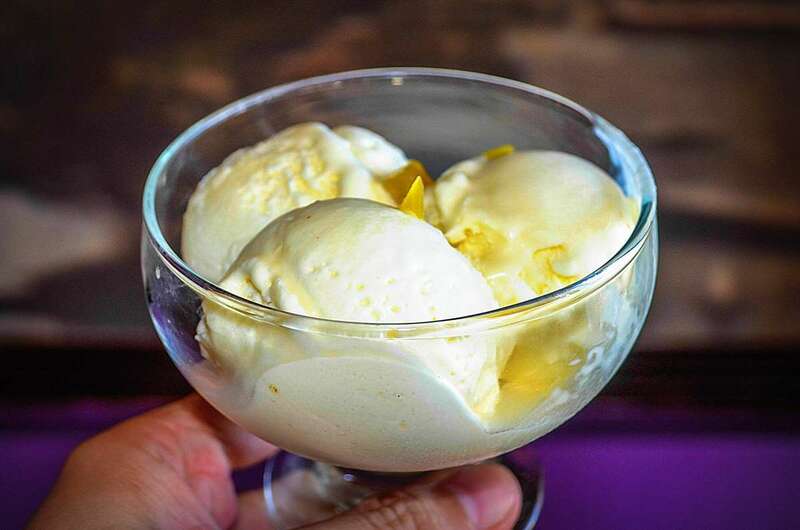 Yes it’s ice cream made of sili (chili) and there are three levels of heat. I had level number 2. 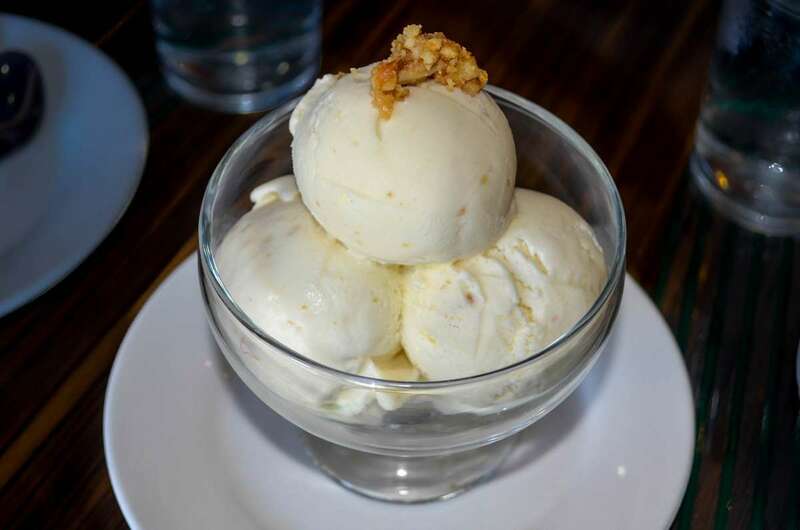 It’s creamy and with a hint of sweetness. 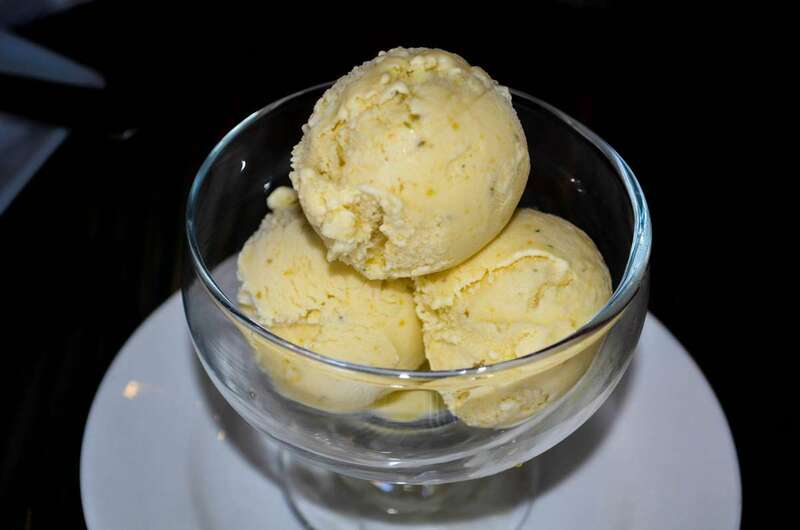 The heat happens after having the first spoonful of this spicy delight. My throat felt the heat. 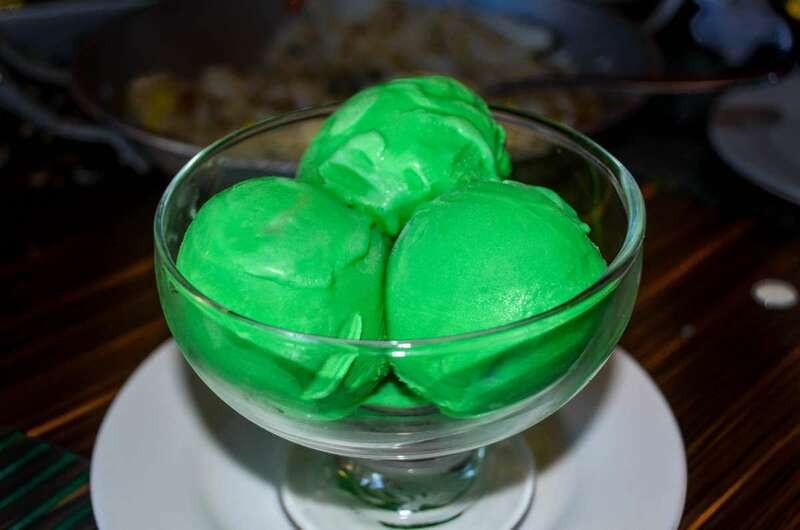 They say the trick here is to just keep on eating the sili ice cream until you finish it. 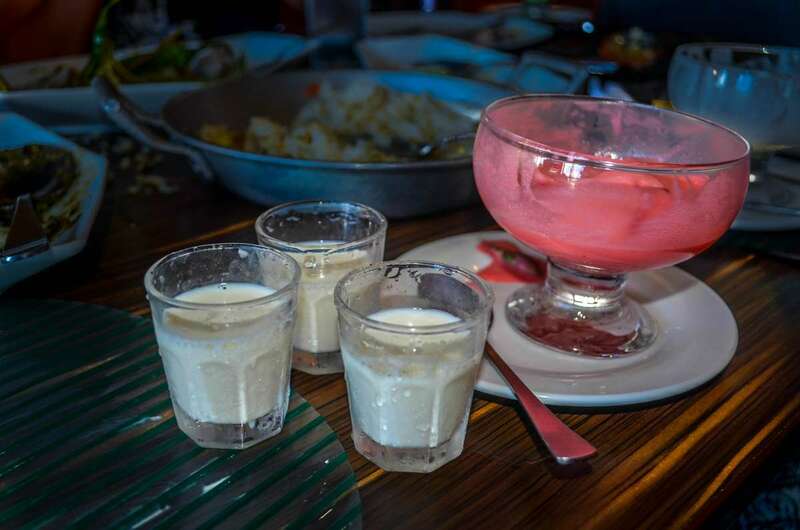 If you can’t handle the heat, you can ask for shots of milk. Hmm, so we started with the dessert. That’s okay. Now for the main meals. 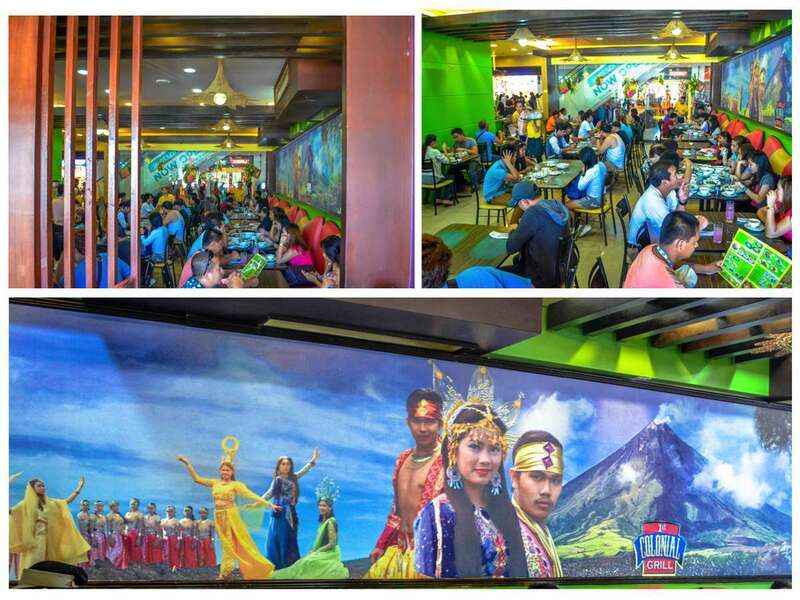 It’s a must for you to order their Tinapa Rice. It’s simply to-die-for. I love how the smoky taste of the tinapa blended with the salted eggs mixed with rice. The green mangoes neutralized the salts. The tomatoes gave a refreshing feel. 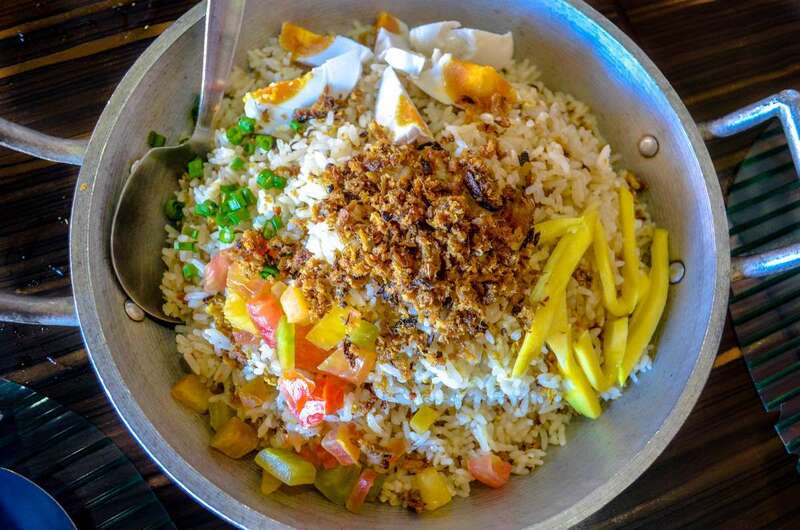 Perfect blend of steaming fried rice and crispy tinapa flakes, infused with the piquant taste of salted egg slices, sweet fresh tomatoes, and the quaint sourness of green mangoes. The Tinapa Rice is like a meal on its own, but to have more flavors to satisfy the palate, have some Kandingga. It’s Bicol’s version of the Filipino dish bopis. 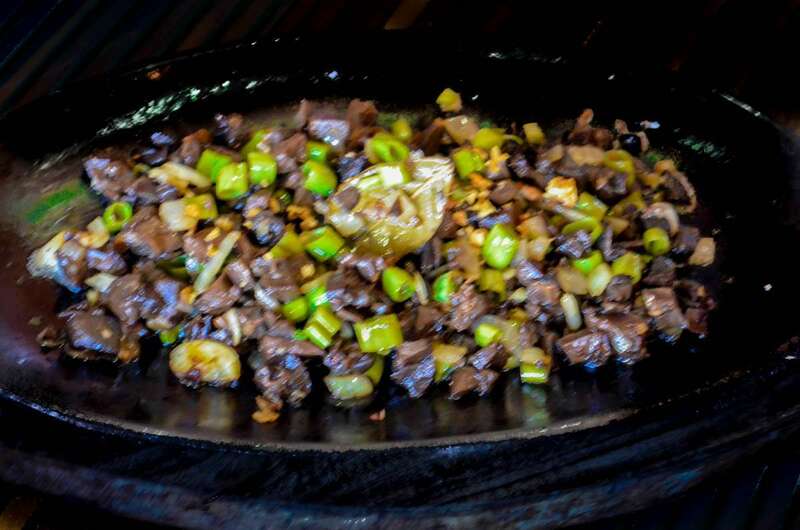 Bopis, traditionally, is made of pork or beef lungs and heart sautéed in tomatoes, chilies and onions. For veggies, have some Laing and Buko Chopsuey. 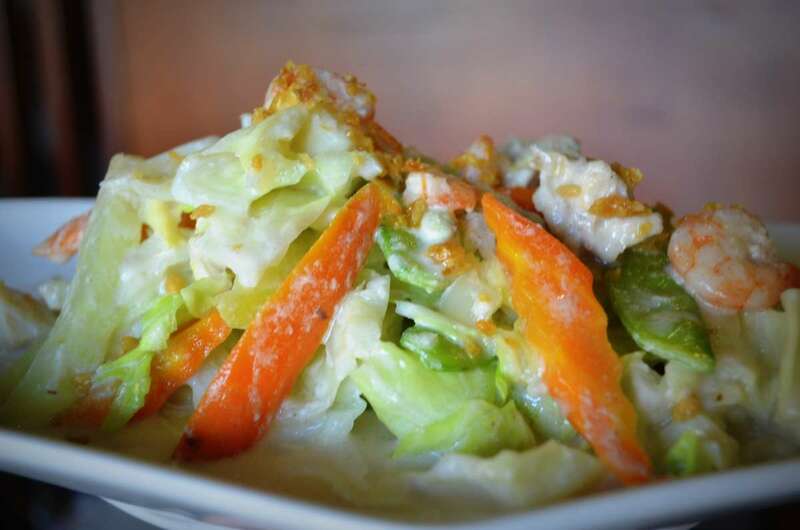 Chopsuey with a twist! 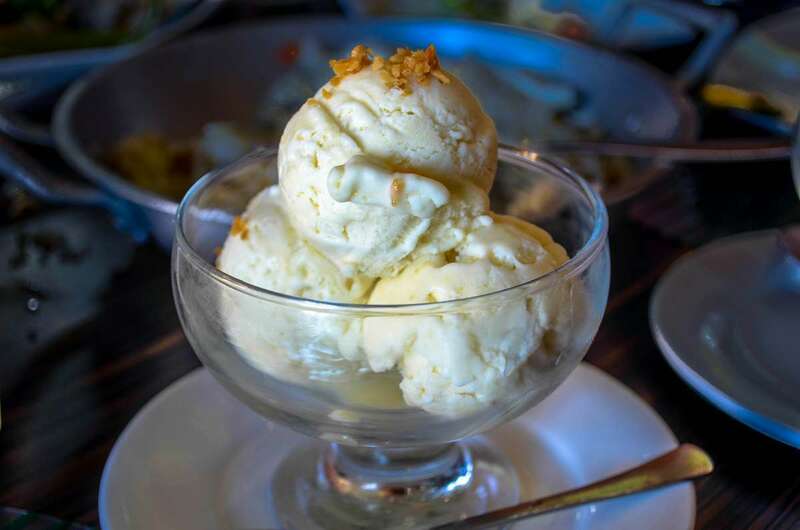 Cooked in coconut milk complimented with the sweetness of fresh coconut meat. 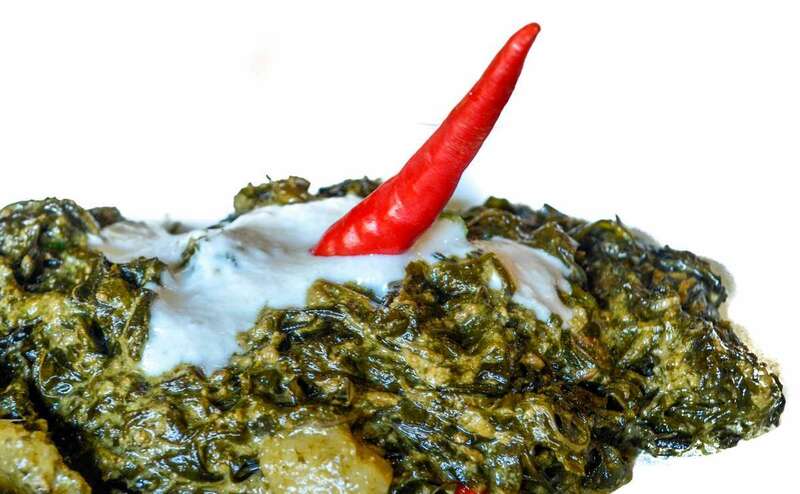 Dried taro leaves cooked in coconut cream and shrimp cake. And lastly, try their popular Tinutungang Manok. It’s chicken cooked in coconut milk, but the coconut here was toasted first before squeezing out the milk, thus giving that smoky flavor. 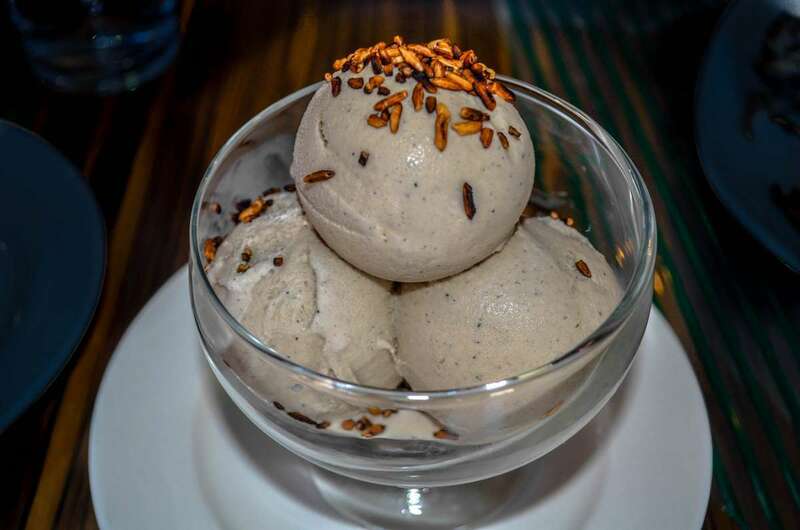 It also has young plantain fruit (young saba banana) embraced in the creamy and smoky flavors of the coconut milk. 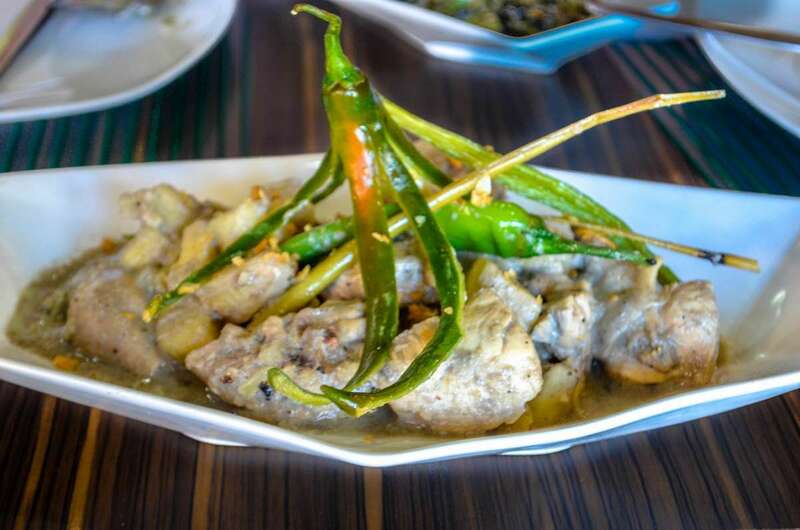 An authentic Darageno dish of chicken and green saba mixed with ginger, lemon grass, and sili, cooked slowly in tunutungang gata. 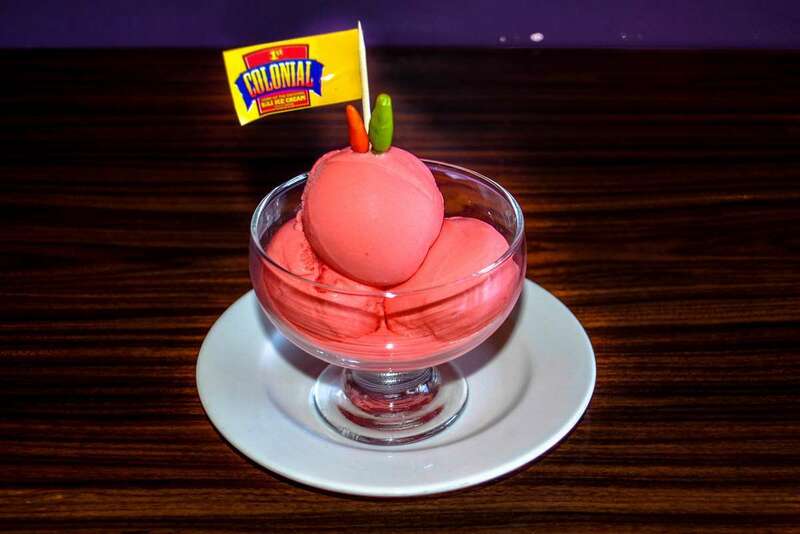 1st Colonial Grill is definitely a MUST, and my top two reasons will always be their Sili Ice Cream and Tinapa Rice.